Central to Jewish life are the laws of Taharat Hamishpacha - Family Purity, of which immersion in a Mikvah for married women is an integral part. It is these observances that keep Jewish marriages sacred and enduring to this day. 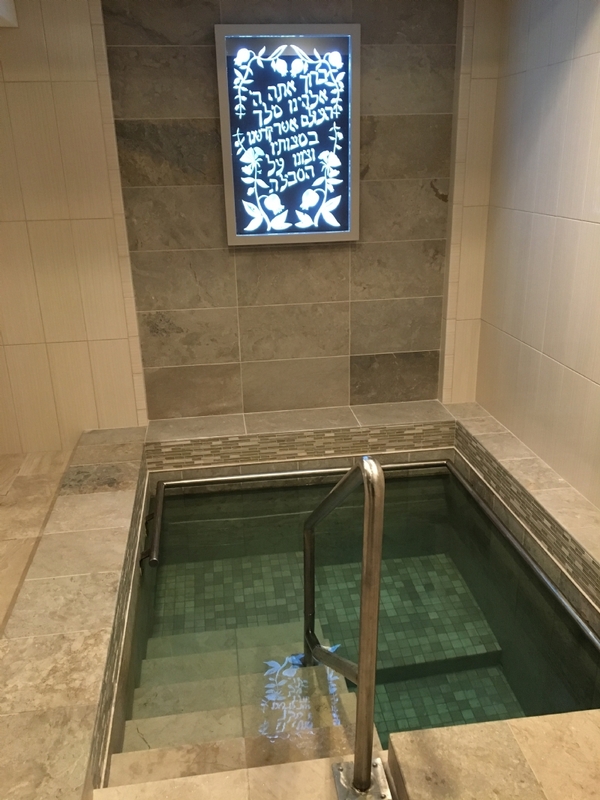 This critical mitzvah has been sustained by Jewish women through the most difficult times of Jewish history and it is our honor and privilege to make this mitzvah available to you today through our most luxurious mikvah. Mikvah Ateres Yisroel is beautifully and fully equipped to make your visit a pleasurable one. Appointment required. Please call 301-299-0144 for an appointment 24 hours in advance. Robes, towels, toiletries are provided. There is a separate Kalim (utensil) Mikvah in the back of Chabad. Open during sunlight hours, just come by.